After college, Jeff began his lighting career in 1978 with Crouse-Hinds in Marketing/Product Development. He soon moved into Lighting Applications and then was invited to work as a lighting designer for a major Toronto engineering and architectural firm, where he designed indoor and outdoor lighting systems for a wide range of applications. Jeff since has worked in design, product development, and marketing. He joined Medgar in 2004 as their Lighting Application Specialist, where he uses AGi32 and Photometric Toolbox daily. In 2008, Jeff became Lighting Certified (LC). 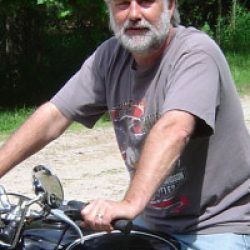 Jeff resides in Sauble Beach, ON with his spouse and family dog. His hobbies and interests include motorcycles, birding, and hiking.